HERE at The Music Manual we're gearing up for 10 years of Liverpool Sound City. 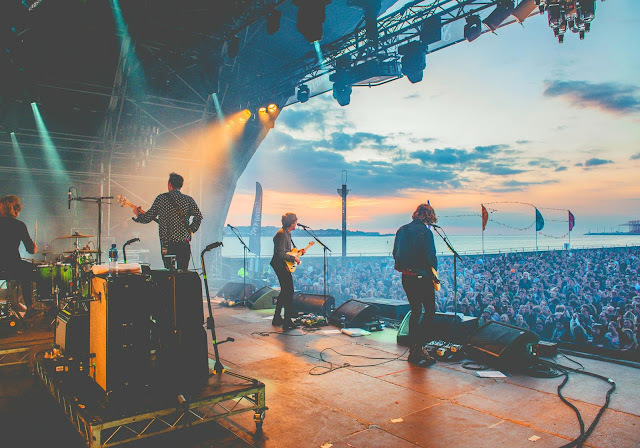 With hundreds of bands ready to descend on the city and thousands of music fans passing through those Sound City gates there's nothing that will stop Liverpool from celebrating music. 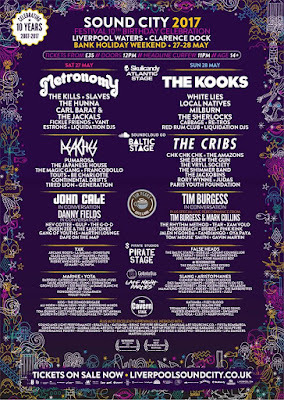 Headliners Metronomy, The Kooks, The Kills plus many more are set to bring a meaty weekend of music. 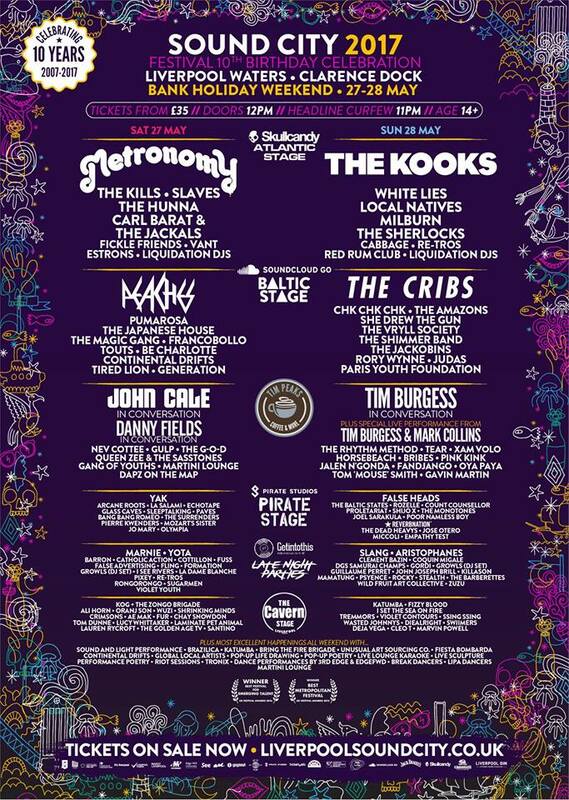 Other bands performing include The Cribs, Carl Barat and the Jackals, Peaches, The Magic Gang and Cabbage. We spoke to emerging talent promoter Martin Moseley ahead of the jam-packed weekend to find out what they have up their sleeves. Should we be expecting some surprises at Sound City this year? Sound City is a always full of surprises. There are so many festivals around the UK now so what makes Sound City so special? We are in the music capital of the country with a strong focus on grass-root scouse acts and emerging talent from the local area. Merseyside definitely has the highest density of boss musicians in the country - that's fact! Who are your top emerging talent bands that we can’t miss? There is a real mixed crowd of emerging talent so I couldn't possibly pick. The beauty of the emerging talent is that there is something for everyone and you can sit and watch it all day. How will the new site Clarence Dock differ from previous years? It's much bigger and more open plan but as it's literally just next door it has thankfully kept its famous quirky dockyard charm. What will be the Cavern Club’s involvement this year? The Cavern Club are back for the third year running, hosting a stage at the festival. They're are the undoubtedly the most famous venue in the world and it's amazing to have them involved. What would you say to Sound City virgins? It is time to pop your cherry. If you could put together a band with members of those who are already playing the festival who would you choose and why? That's impossible, all the acts are fantastic in their own right. Think BandAid but with load of loved up Scousers. Will history be made in May? History is made every May in Liverpool my friend..
Are there any tickets left and how can people get involved? Tickets are selling fast and with the weather going to be a total scorcher this bank holiday now is the time to make sure you're involved!